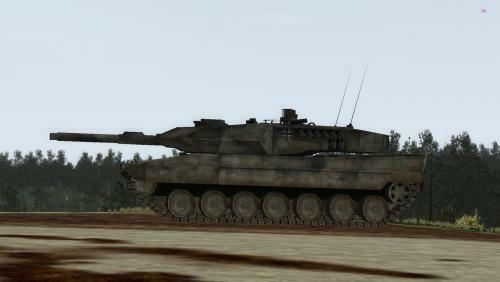 Hi-Res Skin of a German Federal Army´s Leopard 2A5 with actual NATO 3-color camouflage. The hull and rear turret of this Leopard were changed, because GER Leopards use old but modified 2A4 hulls and turrets. Nevertheless those changes can only be displayed in some degree.